Jose Mourinho surprised the former Manchester United manager Sir Alex Ferguson with a place in the team bus for a recent away game. The Telegraph reports that Jose Mourinho made a surprise decision to involve Sir Alex Ferguson with his current side. 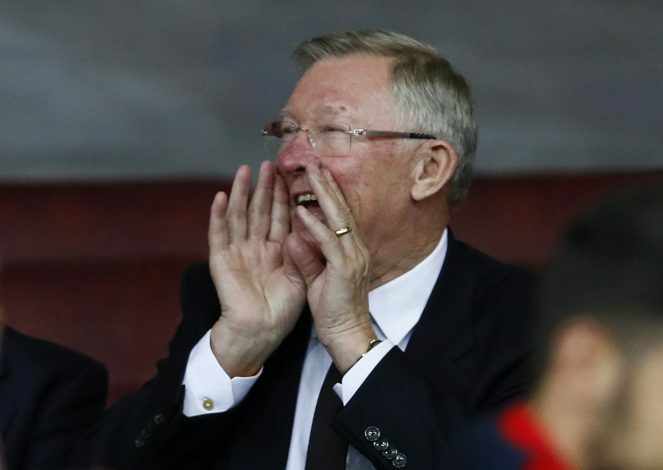 In a recent away game, Sir Alex was offered a place in the team coach to travel with the first team. Since the retirement of the Scot in 2014, Manchester United have really struggled to fight for the title. Both the former managers – David Moyes and Louis Van Gaal – failed in living up to the expectations at a big club like Manchester United, and the Reds’ FA Cup success last season is the only silverware they have won since the departure of Sir Alex. After a two year spell at Man United, Van Gaal was replaced by Jose Mourinho this season. Since the arrival of former Chelsea boss, the Red Devils have started playing beautiful and entertaining football which was lacking during the past 3 seasons. Just after six months in charge, Mourinho has assured the fans that he is the right man for them. They are currently on a 14-match unbeaten streak which involves a record 8 straight wins. Man United will look to extend their streak as they play Hull City in first-leg of EFL Cup semi-final on 10th January at Old Trafford. Recently in an interview, Jose Mourinho revealed that he invited Sir Alex Ferguson to the club’s training ground at Carrington. The Portuguese further admitted that Sir Alex requested permission to travel with the team for an away game, and was assured by Jose himself that he did not need to ask, and could sit anywhere he wanted – including in the seat reserved for the manager. Sir Alex Ferguson is currently United’s club director, and also invites special guests to home matches. The legendary manager is also in close touch with Jose Mourinho and his players.